Here at MMAAS Ltd, we believe that small businesses are the future of this country. Based in Stockley Park, Uxbridge, we provide some of the best accounting and bookkeeping services available for local and small businesses. We know the world of accounts and finance inside and our team has been actively involved within the industry. Constantly gaining knowledge and experience on personal taxes, business taxes, payroll and other services. Thus making us among the best auditors in West Drayton. Over the years, the team at MMAAS have had the privilege to work with countless business owners locally. businesses have approached us struggling to keep up with their finances whilst running their daily activities. Business owners of today have a lot to deal with in order to achieve their dream. We have seen it happen again and again how figuring out VATs and doing annual reports can be a struggle. This is why we do what we do. Most of all we aim to help you and your business achieve your dreams and leave the number crunching to us your dependable accountants in West Drayton. That leaves you time to get on with making money. 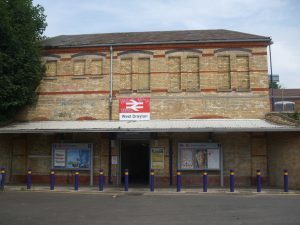 Furthermore West Drayton has seen a boom in small businesses and entrepreneurs are very attracted to the area, and we are most definitely proud to serve it. It is the perfect place to set up a new business venture. Being close to the airport, great housing and beautiful public spaces for everyone to enjoy. We’re a small team that take great personal care to look after every client. We have and keep giving advice and support that is completely personalised to you. We understand no two businesses are the same. Which is why we treat each client uniquely. Feel free to give us a call or email us for more information and to find out if we are the perfect fit for your finances. We want to make sure you’re comfortable with us before spending a penny on our services. MMAAS Ltd is based in Stockley Park, Uxbridge which is just a ten minute car ride away from West Drayton. If you’re on public transport, take the U5 or 350 bus. Driving to us shouldn’t take you any longer than fifteen minutes. We look forward to hearing from you and hope that we can help you and your business in the future.